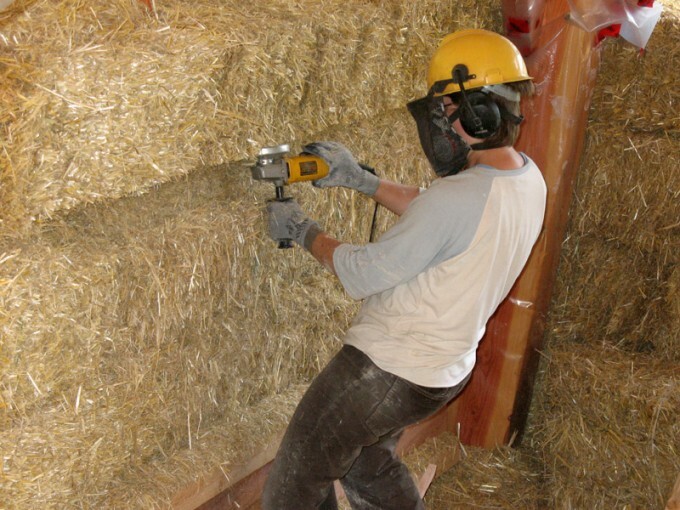 Here is Raina using a Lancelot tool on a bale wall. Notice the important safety helmet and earmuffs. Good job, Raina! 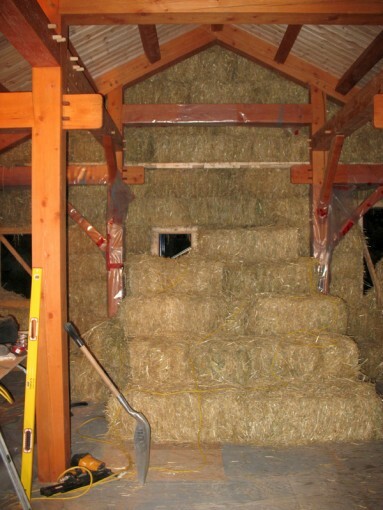 A standard wall consists of bales stacked seven courses high. Going any higher than this requires extra stabilizing measures to ensure that the wall will not bow. Oh, the joy of stacking bales! It goes so quickly at this stage that everyone in a work party gets excited and everything flows really well. 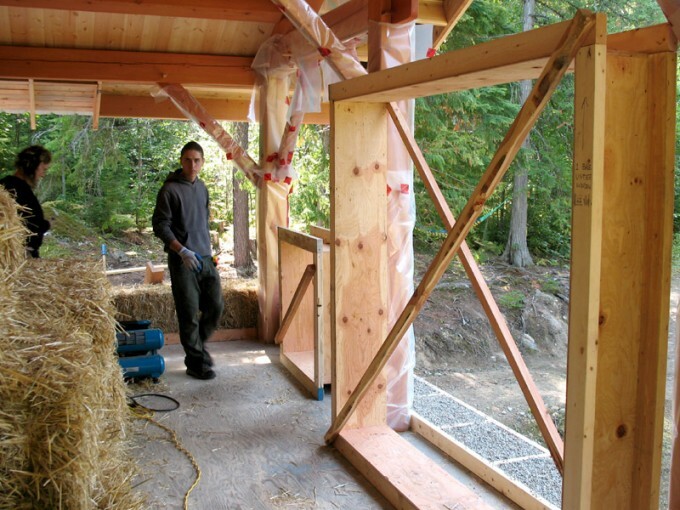 Getting a good system going to ensure there are people busy on each wall as well as a few people making custom bales for around window or door bucks is important to keep up this fast pace. The bales are stacked starting with the entire first course (row), going all the way around the perimeter of the building. This is the beginning of the exciting part, as all the preparations begin to pay off and you see results a lot more quickly. 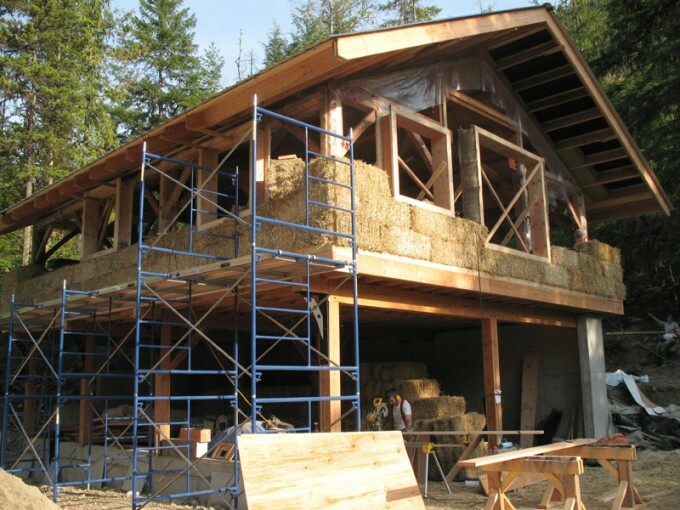 The placement heights of windows can be determined ahead of time in the design of the plans, although the nature of bale building means that the most efficient height placement of windows follows the heights of courses (rows) of bales. 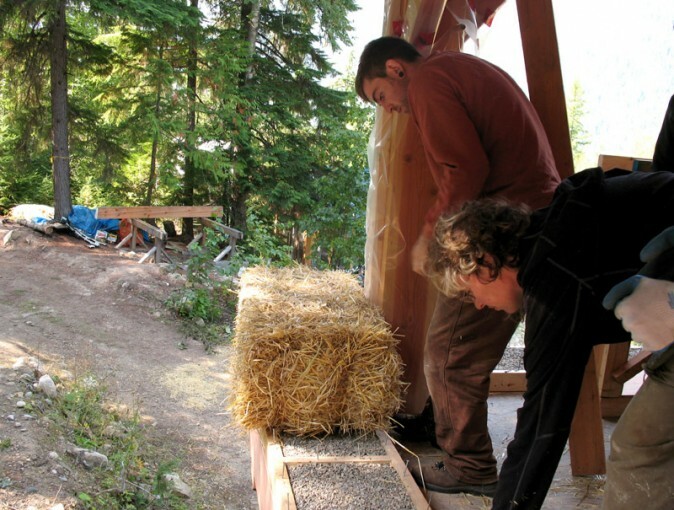 This way, fewer labour-intensive custom sized bales need to be made. 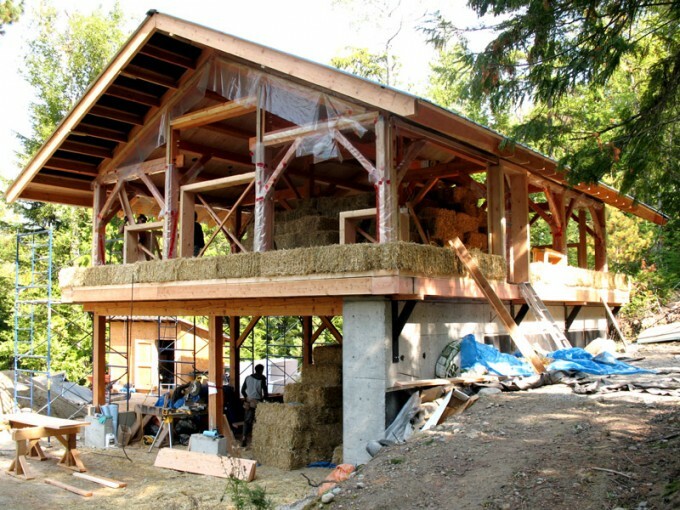 It’s exciting to start stacking the bales, and taking the time to pay attention to the preparations for baling ensures that the whole project will be a success. 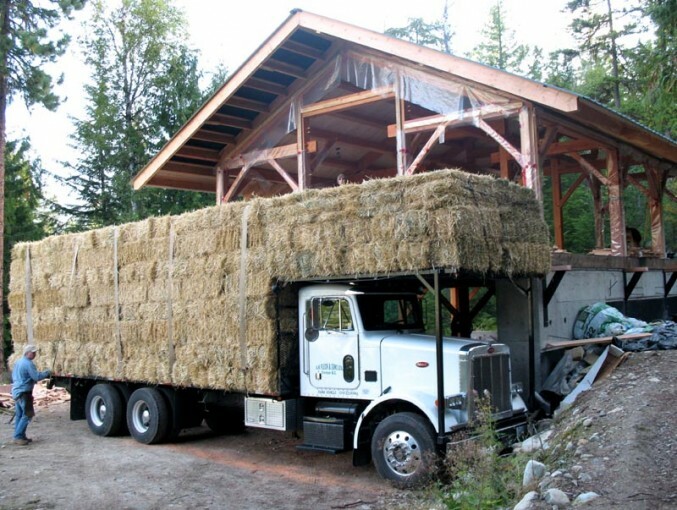 An exciting day when the bales arrive…. now to stack them under cover!